Academic Staff Union of Universities (ASUU), University of Ibadan (UI) chapter has called on the Federal Government to scrap the Joint Admission and Matriculation Board (JAMB). The Chairman, Dr. Deji Omole, who spoke in Ibadan yesterday said the board has outlived its usefulness and reducing the standard of offering admission to students, hence, it must be scrapped immediately to allow universities set a new standard of admission. Omole, who bemoaned the board for the problems being encountered by candidates to register for the examination said the nation could no longer trust the future of the younger generation to a body that failed to conduct mock examination. Omole said he had expected the Registrar of the Board, Prof. Ishaq Oloyede to resign after the board had disappointed the whole nation by failing to conduct a mock exam. He said, “Since Prof Oloyede did not consider it appropriate to resign after failing the whole nation, I think the Minister of Education, Mallam Adamu Adamu, should not hesitate to sack him. “Why will anybody make life difficult for candidates whose parents are struggling to live under the terrible condition the government has made them to live in? “This is where people are duping Nigerian children. This is a total failure. Students must have at least three months for registration, its procedure must be open and their options to public universities must not be limited to serve the agenda of the proprietors of private universities”, he argued. Meanwhile, no fewer than 25 academic programmes run by Bayero University, Kano got full accreditation of the National Universities Commission (NUC). The NUC approval follows the national accreditation exercise conducted by the commission between November and December 2016 exercise. Also, the Nigerian Defence Academy (NDA) will hold its entrance examination on April 22 by 9.00am at the Nigerian Air Force Primary School in Benin City, Edo State. 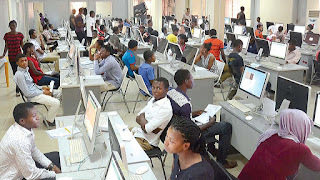 0 Response to "TRENDING: Scrap JAMB now, ASUU tells government"